TOYOTA Racing claimed its second consecutive win with a lights-to-flag victory in the Six Hours of Shanghai, the final round of the FIA World Endurance Championship. 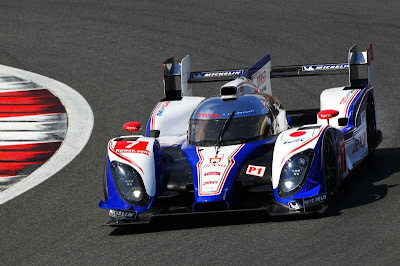 Having won the last round at Fuji Speedway, the #7 TS030 HYBRID of Alex Wurz and Nicolas Lapierre started from pole position and won by 58.570secs. A remarkable debut season has delivered three victories in six races as well as three pole positions and four fastest laps to highlight the impressive performance of the TS030 HYBRID and its innovative TOYOTA HYBRID System. The hybrid system, using unique super capacitor energy storage technology, is charged in four designated hybrid recovery zones at the Shanghai International Circuit before delivering a 300hp (223.7kW) power boost. 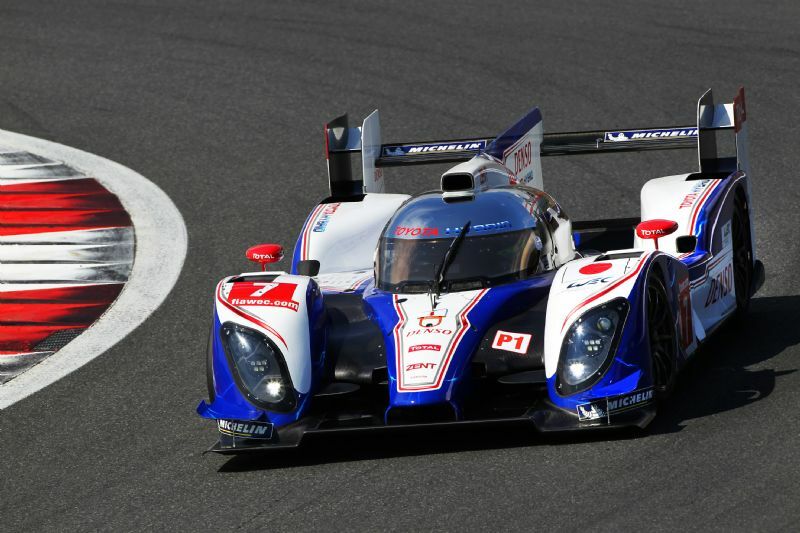 Toyota has been working on hybrid systems for motorsport for several years. They have worked together with partners such as DENSO, Aisin AW and Nisshinbo to develop the THS-R technology so it is part of the overall concept of the TS030 HYBRID. This technology is used to recover up to 500kJ between braking events, energy which can be released via either front or rear motors to deliver a performance advantage. 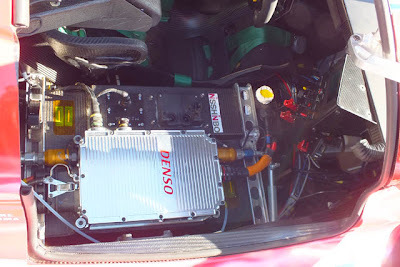 Energy is stored in a Nisshinbo Double Layer Super Capacitor storage which is mounted in the passenger compartment. Toyota’s engineers have been openly disappointed about the 500kJ recovery limit between braking zone as they could have easily produced a 1MJ system. Toyota’s hybrid technology has already won a 24-hour race – a Toyota Supra HV-R won the Tokachi 24 Hours in 2007 – so now they are bringing the latest THS-R development to global motorsport, it certainly looks like they're up to the challenge.